Wadderin Sanctuary is a 430 hectare reserve, fenced to exclude foxes and feral cats. The 9-kilometre predator-proof fence was completed in 2007. Wadderin has a mix of woodland and shrubland vegetation surrounding a number of granite outcrops. 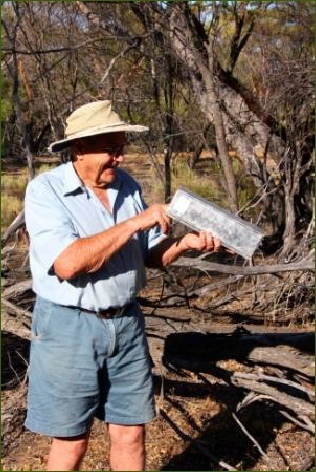 The conservation program at Wadderin was initiated by a local community group in Narembeen with assistance from the Shire of Narembeen. Wildlife Research and Management provides input to on-ground management, assistance in sourcing funds, and in liaising with government departments. Our staff have worked with community members to reintroduced a range of species that include Red-tailed Phascogale, Brush-tailed Bettong (Woylie), Brushtail Possum, Southern Brown Bandicoot (Quenda), Western Brush Wallaby, Banded Hare-wallaby, Bush stone-curlew and Malleefowl.